While many artists fail to express themselves creatively or are scared to experiment within there musical talents and means, Blac Hollywood manages to do exactly that, experiment. Vancouver, BC Boy Cephas Munga has always had a knack for music. "My household always played Congolese music, daily" explains Hollywood, who grew up in an African household before moving on his own to Vancouver in early 2011.Equipped with nothing more than a desktop PC and a condenser mic, he started posting music on his Facebook to generate feedback and input. "I was just rapping at first, but then I stopped showing up to university classes and I took time to learn how to make beats on FL studio. I started my own classes." Jokes Hollywood who has now mastered his blend of electronic music and rap, which has been dubbed "that different S**t" by local artists and fans. "My influences range from all spectrum's of music, artists such as: Daft punk, Kid Cudi, Egyptian Lover, and Magic System"
With the official release of his new EP:"Parade of Lights". Hollywood is set to perform local shows within Vancouver BC. No tour dates have yet to be set but expect him to hit a venue near you in the next couple of months. For the blues, rock and reggae inspired sounds of Edmonton based STONE IRIS, there’s just no replacing that feeling of commiseration and unity that comes from a group of friends gathered around at the stage, soaking up the night together and raising a glass to good times. It’s exactly that kind of feeling that STONE IRIS taps into on their newly recorded EP, "Illuminations", which is set for release on Tuesday, May 15, 2012. Like a lost night in a smoky bar, its songs feel easy to slip into and even easier to get lost in, using laid-back but propulsive grooves to create a mood that feels at once nostalgic and promising, familiar enough to get your guard down but restless enough to let you know that the best times are on their way. It builds off their previous releases, 2011 twin-EPs The Boo Box and Serene Machine, the 2010 Silhouettes EP and 2008 debut Ezperanza, by revealing a band that is at once more assured and more expansive than it’s ever been. "We are all really excited to be releasing the new EP Illuminations. The new songs really represents the direction we are taking with our music and careers, it's a great addition to our growing catalog. Plus, playing shows in Edmonton is always a great time, our local fans are awesome and supportive. And as we hit the road, it is equally gratifying but in a different way. It is cool to hear and see new fans reaction to fresh material that can only be brought to them by our traveling circus we call Stone Iris." comments drummer Jeff Burwash. The New Jacobin Club Announce Western Canadian Tour & New EP "Left Behind"
Saskatoon, SK punk rock horror band The New Jacobin Club, best known for their mind-blowing stage theatrics with band and sideshow stage performers, are proud to announce their upcoming Western Canada tour in promotion of their upcoming EP "Left Behind," a 15-year anniversary release featuring four songs from the band's 1990s catalog. The band will also be premiering new material from their upcoming full-length (an apocalyptic Victorian conspiracy), tentatively titled "The Mark," while on the tour. "The group is really charged up right now, we've got new material that we feel represents everything the NJC has been musically moving towards since the last millenium! We'll be out on the road in May with the new ep, we start on May 12 in the dark bohemian underworld of Saskatoon, our hometown, and leave the province the following week. We'll have Mistress Nagini and members of the Angry Teeth Freakshow on board for shows at larger venues - specifically larger venues that don't mind the mess. " commented vocalist /guitarist The Horde. The tour will kick off on May 12 in the dark bohemian underworld of their hometown of Saskatoon and see them venture the following week as a seven-piece with Mistress Nagini (The Snake Woman) and members of the Angry Teeth Freak Show, such as Raunchy Rabies (the girl with the iron stomach and unbreakable skull) on board for shows at larger venues, specifically, larger venues that don't mind the mess. "Left Behind" features songs from a studio session where the NJC re-recorded, re-orchestrated and re-envisioned songs from the 1990s. Two of the four songs were chosen because they were staples in the NJC's first live sets in 1996 and had never received an official studio treatment or public release. This EP sees the current line-up forge a link to the group's past while still maintaining their colourful elements of power metal, punk and gothic rock. "Left Behind" will also set the tone for some new material that will be introduced live on stage this May on their Western Canada tour. The EP will be released digitally online as a pay-what-you-want item and as a limited edition CD with vinyl record sleeve-style packaging. You can listen to "My Smile," the opening track from "Left Behind" online at Reverbnation and Bandcamp. Electro alt rockers The Rabid Whole – aka Toronto’s 21st century, high-energy, orgasmic-punch-in-the-face-and-leave-you-wanting-more-rock band are proud to announce the release of their second full-length album, "Refuge", on Boonsdale Records. Recorded and produced by Karl Schubach (Misery Signals, Solace), mixed by Dave Ogilvie (Jakalope, Nine Inch Nails, Marilyn Manson) and mastered by Noah Mintz (Broken Social Scene, Death From Above 1979), "Refuge" was written amidst a flurry of changes in The Rabid Whole’s line-up and sound, showcasing growth and an evident pushing of boundaries when compared to the band’s 2009 debut release, "Autraumaton". 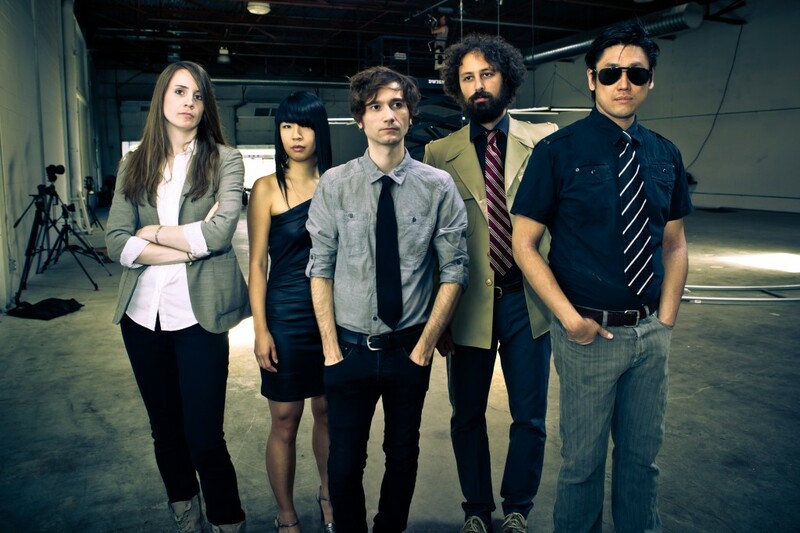 Papermaps release new video for latest single "Complicate Things"
Papermaps, a Toronto-based rock quartet whose music blends elements of indie rock, art rock, experimental, shoegaze and electronica has recently releassed a new video for thier latest single "Complicate Things". The band is often compared to such artists as the Shins, Spoon, Radiohead and MGMT. Canadian electronic/dance music group, CoNcEpTs, recently released their 2nd music video, Feels Good. The video is much darker than their debut video release, Shades On, but slams even harder than ever, catching many DJ’s attention throughout the electronic scene. The track was recorded and produced by award winning producer RaWb EaTs and filmed by Matt Popowich of Westfort Films. CoNcEpTs are known for their Dance/Pop sound, with their debut single Shades On blowing up on YouTube reaching 500,000 views. The group was formed in Thunder Bay, Ontario, beginning with fresh beat-making and lyrical collaborations of RaWb EaTs and Mad EP. They later discovered female pop vocalist Tr!s and hip hop artist Coleman Hell of Burnz n Hell. The group has shared the stage with Canadian artists JRDN and Danny Fernandez. Cataracs and Swedish House Mafia. CoNcEpTs’ independently produce and write their own music having over 2 albums worth of material and sell their tracks on iTunes.